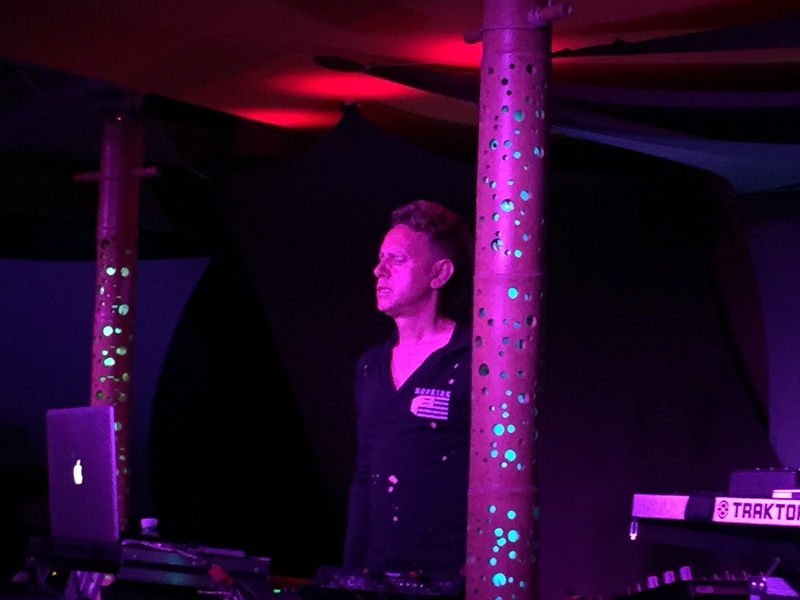 Martin Gore DJ’d at a Fundraiser at Soho Restaurant & Music Club on June 27th, 2015. I’d been to Santa Barbara several times before to see Martin DJ. I always have a good time and Martin’s always extremely cordial. 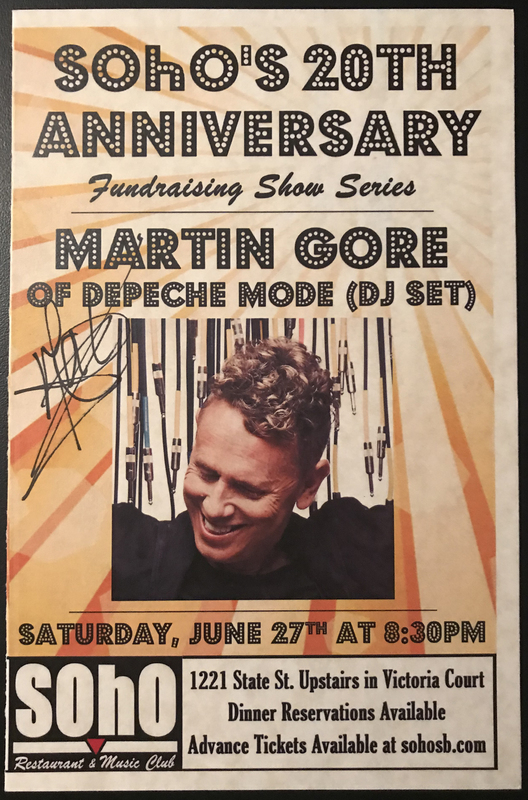 Below is the flyer that was signed by Martin and given those of us that paid extra for the Meet and Greet option. The Meet and Greet took place earlier in the evening. 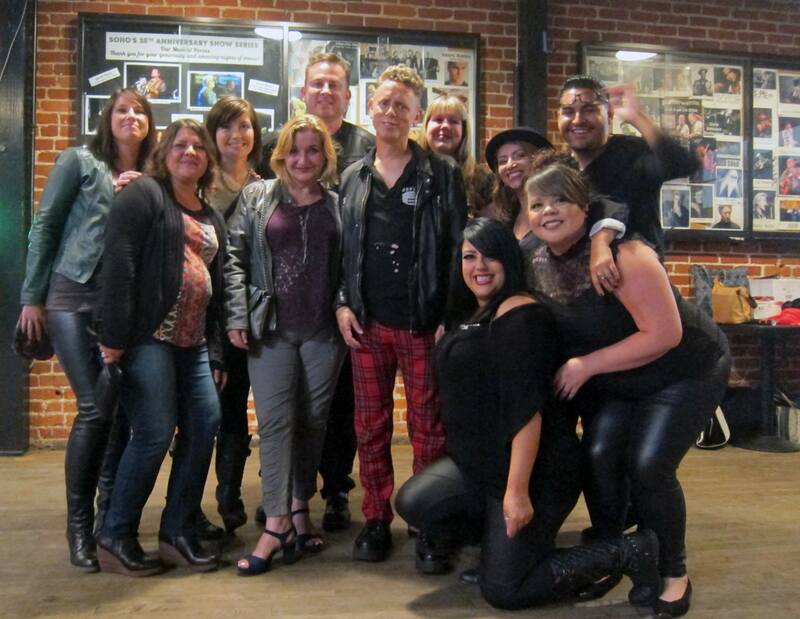 Groups of fans took photos with Martin. Here are a couple of pics from my group. I told Martin that I enjoyed his MG solo album which had been released just a few months before the event. He thanked me and said he was glad I liked it. I had considered purchasing a vinyl copy to get signed but didn’t have a chance. This Meet and Greet didn’t have an autograph signing but after the Meet and Greet I did happen to catch Martin before he left for dinner. I asked him to sign his set list and although “The Baron”, Jonathan Kessler, tried to deny my request, Martin told him that it was ok and he happily signed it. 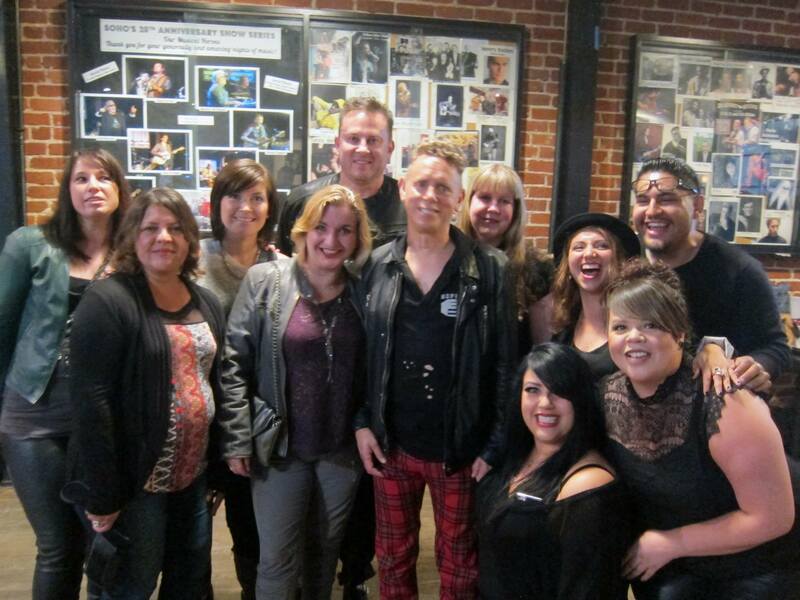 The set list was Martin’s from the Saturday night Staples Center show on the Delta Machine tour. 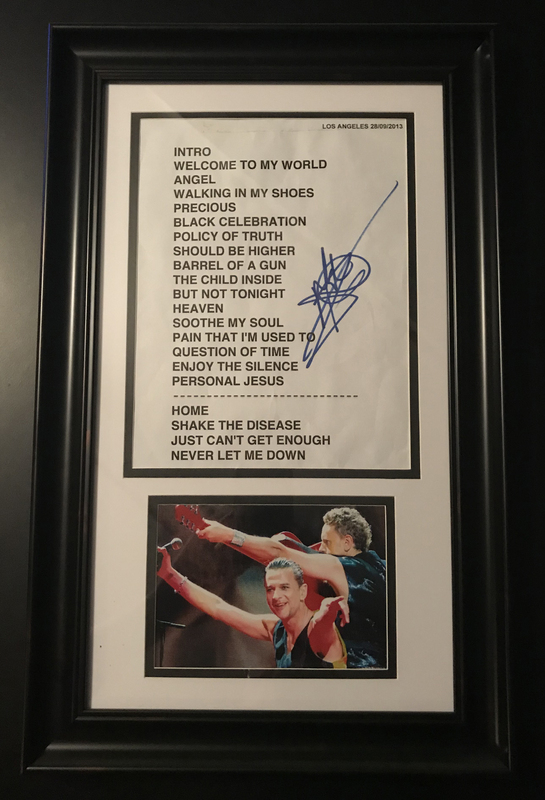 Below is the signed setlist after I framed it. I also included a photo I shot from the show. I had 3rd row seats for that show. Here are a few pics I shot of Martin DJ’ing that night.